During their setup, a lot of people suffer from “turtleback” or rounding. Now, that could be caused by a weak lower back, which causes your hamstrings to overpower things. But the problem may stem from the way you approach the bar. Instead of setting things up from the top down (by reaching down to the bar), set up from the bottom using a “rollaway” technique. Squatting deep and letting the back round will allow the hamstrings to release control of the pelvis. Since they’re no longer in the picture, they’ll allow the low back to step in and extend the spine the adequate amount for the correct starting posture. I don’t know who started this, or why, but it’s become a thing. At the top of a deadlift, lifters do a very deliberate and jarring motion to finish off the deadlift (or squat). The trouble is, it adds absolutely nothing to the movement. It doesn’t increase glute involvement at all, nor does it improve hip drive. Instead, it sets up a perfect platform for injury, lumbar hyperextension, and acetabular issues. We have to think about this logically. From a force angles perspective, the deadlift is a vertical pull. Hip drive is horizontal. The majority of our glute involvement will probably come through the first two-thirds of the lift. That’s when the hips are the most flexed, and the glutes serve as a hip extensor. Aggressively driving through the bar at a million miles per hour at the top of the lift provides no added value. And the reason why people can add that much speed to that segment of the lift in the first place is because the force angle isn’t directly on the glutes anymore. Instead, it’s shifted to the traps, shoulders, and spine. By the flawed logic that the glutes get more from whipping through the top, you’d see people able to do the same thing while doing a heavy hip thrust, which situates the load directly in line with the force created by the glutes. But they can’t. Lastly, there’s no real way to guard against compressing your spine when hip whipping. Chances are, if you have issues with your initial setup or keeping good mechanics through the duration of your normal deadlift, adding a little speed, courtesy of the hip whip, will only make matters worse. There’s nothing wrong with coming up smooth and controlled, and you’ll see better gains by doing so. Too often deadlifts enter lumbar flexion, where your spine is curved like an inverted “J”. This not only makes you look like a frightened cat, it’s also an unsafe pulling position – especially when it occurs because of the spine changing position/shape under the load (rather than starting out that way). While paused deadlifts can do wonders in shoring up your spinal position, they can also help with balance. There should be a slight backward emphasis (about 5 degrees) when picking up the bar to counterbalance the load that’s in front of you, especially when it’s heavy. If you watch the full-deadlift video below closely and pause it on any given completed rep, you’ll notice that slight backward emphasis. Being completely vertical at the top of a deadlift probably means you let your back dominate the lift and forfeited some hip drive. Finishing up on a backward “slant” of about 5 degrees properly counters the load in your hands. Remember, this isn’t a trap bar with a weight distribution that’s evenly distributed around the body. It’s a barbell and all the weight is in front of you. Using the paused deadlift can help you sit back ever so slightly in order to stop the torso from lurching forward and throwing off your force curve. Pull the bar hard up into the pins, attempting to lift the entire squat cage off the ground (assuming you can’t – make sure!). Hold for sets of 10-15 seconds, using 60-second breaks. Then move the pins up to a higher level and repeat. You can do this at nearly every part of the deadlift range of motion to strengthen the entire ROM. If you don’t have a squat cage, simply load a barbell on the ground to 150% of your 1RM – or to a weight you’re certain you can’t budge – and do the same thing. Unless you’re into Olympic lifting, you’ve got no reason to wear glorified Dutch-boy wooden-heeled Olympic shoes. 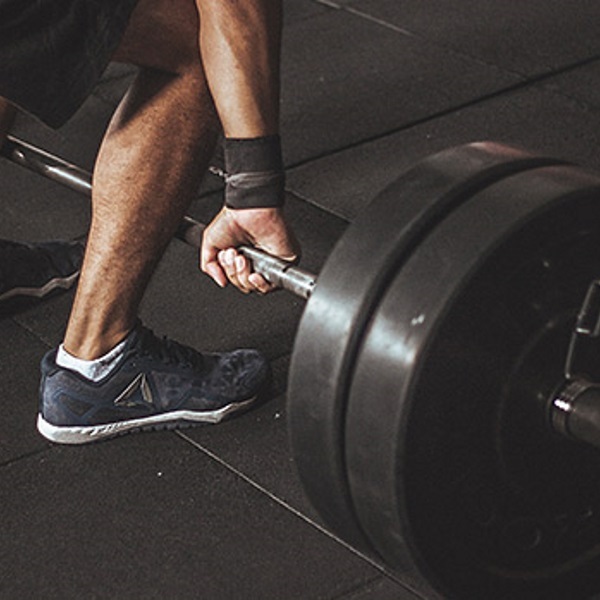 That heel wedge can elevate you 2 inches and that can drastically change your geometry, and in some cases place you in a less favorable position to deadlift. The first thing you’ll have to do when deadlifting in heel wedges is let the knees track farther over the toe. That results in a less vertical shin position, which is awesome for front squatting but not so good when it comes to deadlifting heavy weight. Sure it is. But they’re two different animals. And if a lifter can fling that bar up to shoulder level and then launch it over his head, I’ll put it on my momma that that load isn’t anywhere near his deadlift max.